I may be the wrong person to comment on long courtships. I was with my ex-fiancé for over eight years. Then he ran off with someone else, and was married within the year – make of that what you will! However, having watched too many people rush into marriage and end up miserable, I’m still a great believer in taking time to really get to know someone before signing your life away, rather than basing a decision that will profoundly affect the rest of your life on feeling crazy-in-love. Even with God’s guidance, the realisation that someone is right for us is a gradual one. Only over time do true characters reveal themselves, and we learn how our strengths and weaknesses fit together, and what life will be like when the euphoria fades. Christians often rush in too quickly because of (whisper it) S-E-X. I’ve even read warnings against courtships of more than a few months, to avoid temptation (advice that must lead to misery for many). Plus we Christians sometimes have a tendency to convince ourselves something is the will of God when it’s just that we want it badly and it feels ‘right’. One friend and her new(ish) boyfriend were certain God was telling them to marry. Six traumatic years later, they were signing divorce papers. As my granny would say: ‘Marry in haste, repent at leisure’. Of course, there are couples who marry within months and are blissfully happy decades later. But there are many more who realise (too late) that the heady rush of falling in love is no substitute for really getting to know someone. During those first couple of years, our brains are flooded with dopamine (the ‘pleasure chemical’). This state (known as ‘limerance’) causes people to behave at their best, while seeing only the things they have in common and diminishing any worrying red flags. I don’t know about you, but I wouldn’t want to gamble on my future while high on infatuation hormones. But then again… there’s the opposite end of the scale. Far from rushing in, I’ve also known people wait and wait for commitment, when it was obvious to everyone but them that it was never going to happen. Perhaps my friends said the same thing about me! In his book Are You Right For Me?, relationship counsellor Andrew G Marshall reports that the optimum length of courtship for a happy marriage is between 18 months and three years. After three years, the likelihood of a proposal starts dropping – as do the odds on a marriage (if it happens) being successful. So in the case of my correspondent’s sister, who’s been dating her boyfriend for over a decade, it’s statistically unlikely they’ll ever wed (although again, there are exceptions). So what if one half of a couple is keen on commitment and, even after a sensible amount of time, the other is unwilling or indifferent? 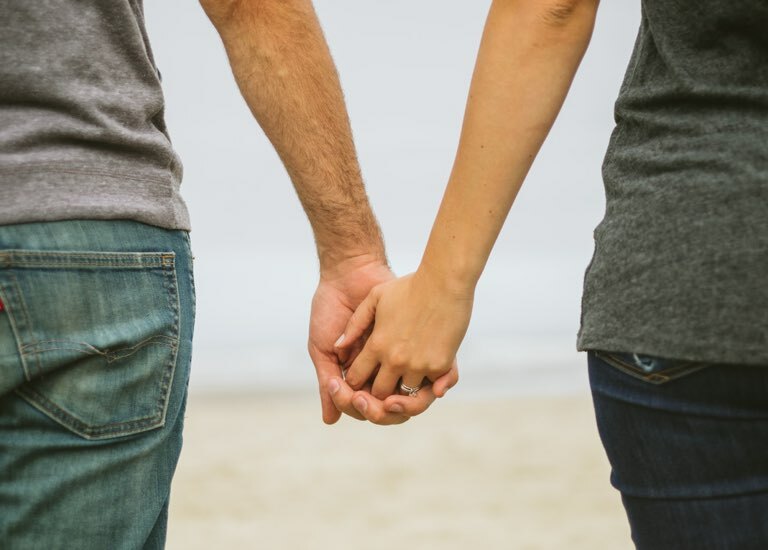 John T Molloy, author of Why Men Marry Some Women And Not Others (I know, I know… it’s not as naff as it sounds), reports that people are more likely to walk down the aisle if they make it clear they’re not afraid to end a relationship that’s not moving towards marriage. It’s not about issuing an ultimatum: ‘Marry me or you’re dumped!’ It’s about making your needs clear: ‘I’m looking for marriage. If that’s not what you want, I have to be true to myself and move on.’ But here’s the rub: you have to mean it. It can’t be a bluff to manipulate the other person into marriage – you must be genuinely prepared to walk away to free yourself for a better match. And if you’re the one who’s perpetually stalling? Fear of commitment can be triggered by many experiences. Counselling may help you work out the issues, and allow you to move forward. Every couple is different, and for every warning, there’s a story to counter it. But as Christians, we should endeavour to develop Godly wisdom – and never do we need that wisdom more than in relationships. I believe a wise Christian will take their time when considering a lifetime commitment… but will also recognise when a relationship is leading to a dead end, and have the courage to leave and look for something better. What’s your ideal length of courtship? How long is too long – or too short? We want to hear your views.